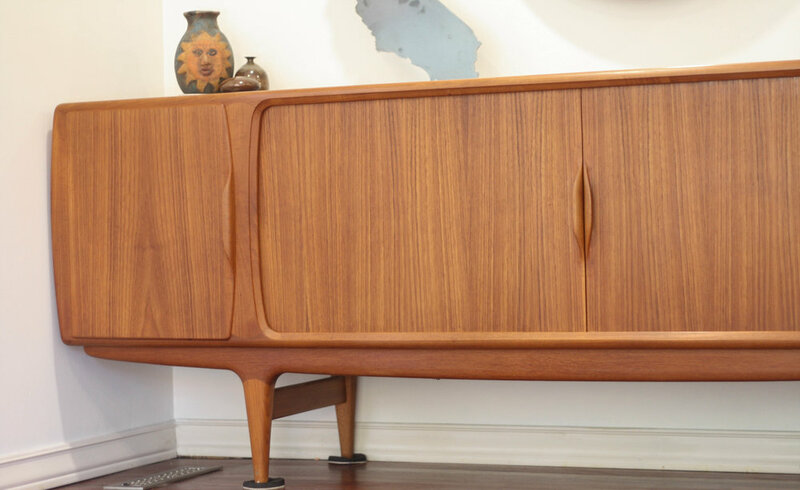 This Model 19 teak sideboard was manufactured in Denmark and designed by Johannes Andersen. It features teak tambour doors with organically shaped details allowing unobstructed access to the interior. Striking teak fronts with amazing grain patterns. The quality of craftsmanship with this piece is second to none. It is rock solid and extremely well built. Check out the subtly rounded sides. Incredible detail! Eight total shelves in the interior, all can be removed completely or adjust to different height settings. A single drawer on the right side can also be adjusted to various heights. Make sure to note the amazing teak legs on the curved, gondola style, base. Would make a great media console under a flat screen HDTV. In excellent vintage condition with very few markings or signs of use. As noted in one of the photos there is a slight color variation in two spots on the top from where the legs of a top piece sat. Over time, as these spots received sunlight, they would even out in color and match the rest of the top. 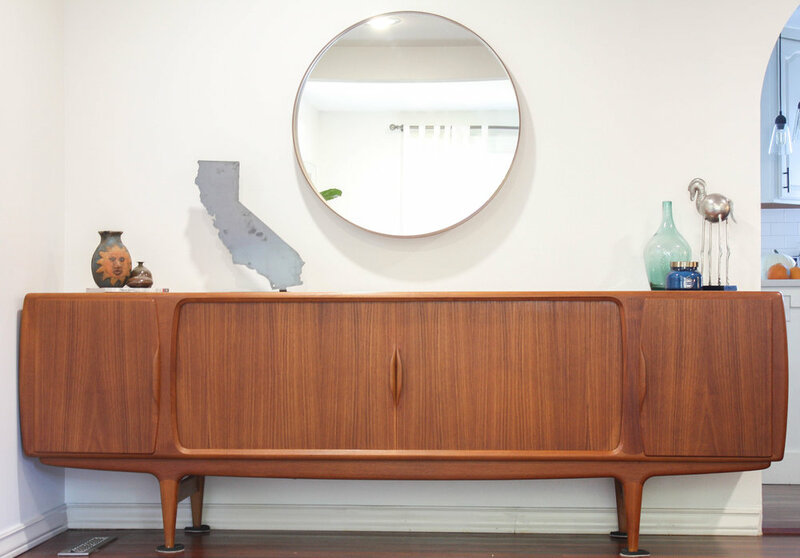 We aren't exactly sure how a piece that's 50 years old has stayed in such great shape.